Robert Johnson was the unluckiest of blues performers. As with other giant talents, ranging from Vincent Van Gogh and Franz Kafka to Galileo and Edgar Allan Poe, Robert Johnson became revered only after his death. That he’s known at all is probably due to the appreciation of Johnson’s talent by Eric Clapton. Ever since becoming famous, Clapton has sung Johnson’s praises, as mentioned in the last post. Like most of the old blues players, Robert Johnson was a professional entertainer more than anything else, and didn’t only play the blues. During his lifetime, according to author Elijah Wald, Robert Johnson was more respected by his peers for his ability to play in a wide variety of styles rather than just the blues. In his 2001 book on Johnson, ‘Escaping the Delta’, Wald writes that Johnson was equally comfortable with uptown swing, ragtime, jazz and pop and could pick up parts almost instantly upon hearing a song. 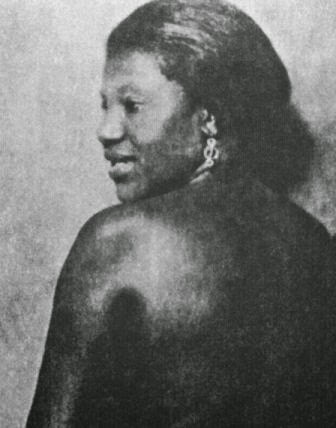 Johnson’s first recorded song, Kind Hearted Woman Blues, says Wald, in contrast to the prevailing Delta style of the period, more resembled Chicago or St. Louis-style blues with its “full-fledged, abundantly varied musical arrangement”. I even read somewhere that Robert Johnson liked to include Bing Crosby numbers in his repertoire. guitarist playing for him, Eddie Lang, who was on a par with Sylvester Weaver. Robert Johnson is such a mysterious figure possibly because he went under so many different surnames. He was born in Hazlehurst, Mississippi, in May 1911, after an affair between a 37-year old married mother of ten, Julia Dodds, and a 27-year-old field worker, Noah Johnson. In his teens, Robert learned who his father was and started using the name Johnson. He also liked to tell people he was related to Lonnie Johnson, which he wasn’t. 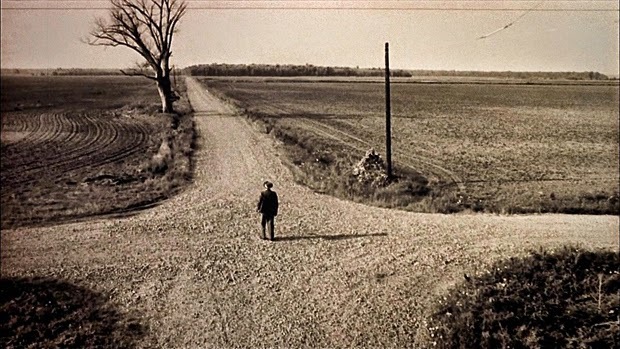 The most common myth about Robert Johnson, of course, is that he sold his soul to the devil, at a crossroads near the famous Dockery plantation in Mississippi, in return for outstanding ability on the blues guitar. As we know, a fellow Delta-blues guitarist, Tommy Johnson, who Robert Johnson knew, had claimed such a relationship with the devil ten years earlier than Johnson. The legend itself stems from the medieval German story about a scholar, Faust, who exchanged his soul to the devil, in exchange for unlimited knowledge and worldly pleasures. 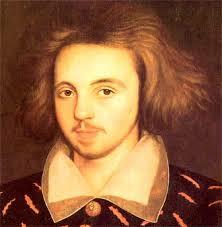 Shakespeare’s contemporary Christopher Marlow popularized the devil story in England with his 1604 play ‘The Tragical History of Dr. Faustus’. German author Johann von Goethe’s also wrote a version of the story in his play ‘Faust’ in 1808, now regarded as a masterpiece of German literature. The French grand opera ‘Faust’, with the same selling-your-soul to-the-devil theme, written in 1859, is still doing the rounds today. The legend about Robert Johnson and the devil has been blamed on the naivete of white fans, after Eric Clapton first brought Robert Johnson to world attention in 1966. Eric hasn’t lost any of his fire. Checkout this Cream reunion clip from 2005 – they’re playing Crossroads of course. 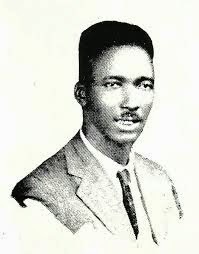 The myth seems to have started when the Dockery plantation bluesman, Son House, a contemporary of Henry Sloan, told Pete Welding, a Downbeat journalist and contributor to Rolling Stone magazine, the following story, also in 1966. Son House was probably spinning Welding a line but, as a one-time pastor, perhaps the old timer even believed this himself. Perhaps that was the only explanation Son House could come up to explain Johnson’s almost magical improvement. Pete Welding certainly took what Son House told him seriously. Here are the facts. In the 1920s, the teenage Robert Johnson hung around the great blues players living and working at Dockery’s plantation. At Dockery, young Robert was known as a fair harmonica player but an appalling guitarist. Johnson then disappeared. The time he was said to have been away ranges from a few weeks to two years. 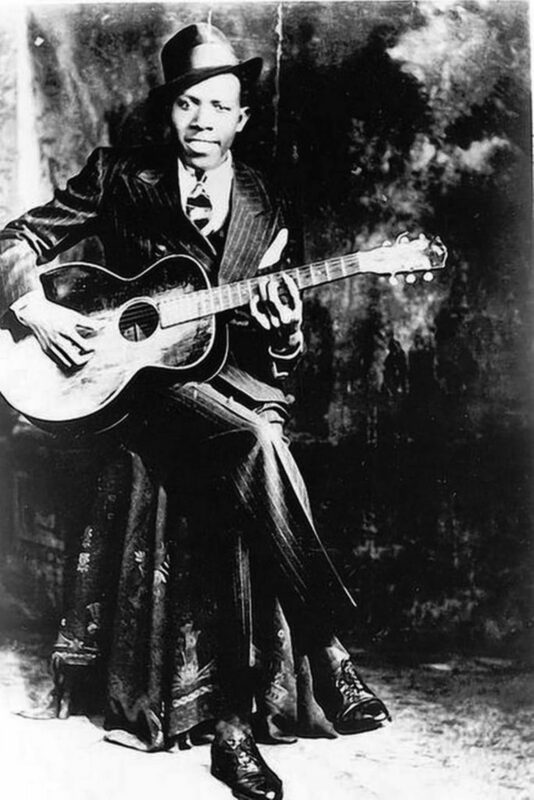 When Robert Johnson returned, he’s said to have picked up a formidable guitar technique and complete mastery of the blues. 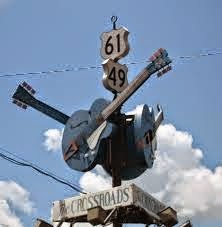 We then get the Faustian story of young Johnson meeting the devil at the crossroads of Highways 49 and 61 in Clarksdale, Mississippi. Here, the devil re-tuned his guitar in exchange for his soul. Welding’s story was retold and embellished over the years by white rock journalists who should, perhaps, have known better. These guys were young back in those days, however, and you believe all sorts of supernatural nonsense when you’re young, don’t you? The great American folk musicologist and blues scholar, Alan Lomax, once said, “Every blues fiddler, banjo picker, harp blower, piano strummer and guitar framer was, in the opinion of both himself and his peers, a child of the Devil.” Indeed, Johnson’s own family used to say Robert had sold his soul to the devil, then a euphemism in black society for choosing to play blues rather than play religious music. Queen of the Moaners, Clara Smith, even had a well known record out in 1924, ‘Done Sold My Soul To The Devil’. Maybe that’s where Tommy Johnson got his idea to put around a similar rumour about himself, a year or two afterwards. Has Iggy Pop recorded his last album? Was this concert pianist the first hippy? David Beckham and Robert Johnson: what’s the connection? The Blues is full of west African imagery, lore and spirituality, which is why the church is forever hostile to it. Only the typical arrogant, know-nothing white “academics” conclude the Blues which is played by Africans on African instruments (the guitar, banjo) contains polyrhythms, call and response (btwn player & audience/player & guitar) and who’s lyrics are chock full of West African religious concepts, could conclude the opposite. Lol, sure a mojo hand is a monkey’s paw, indeed! Thanks for your interest, CE. Totally not into religion myself but I believe the church started changing its view on blues in the 1920s. Indeed, many bluesmen were church ministers. Hope your mojo’s workin’.